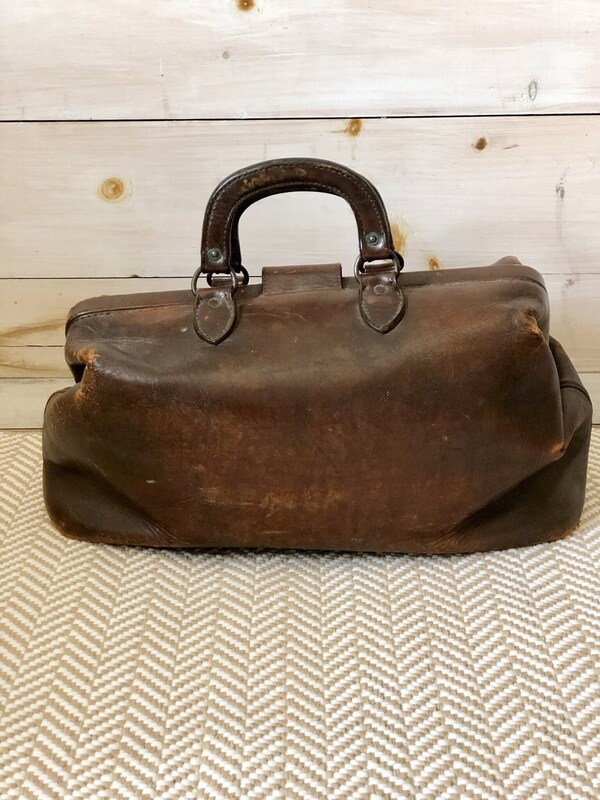 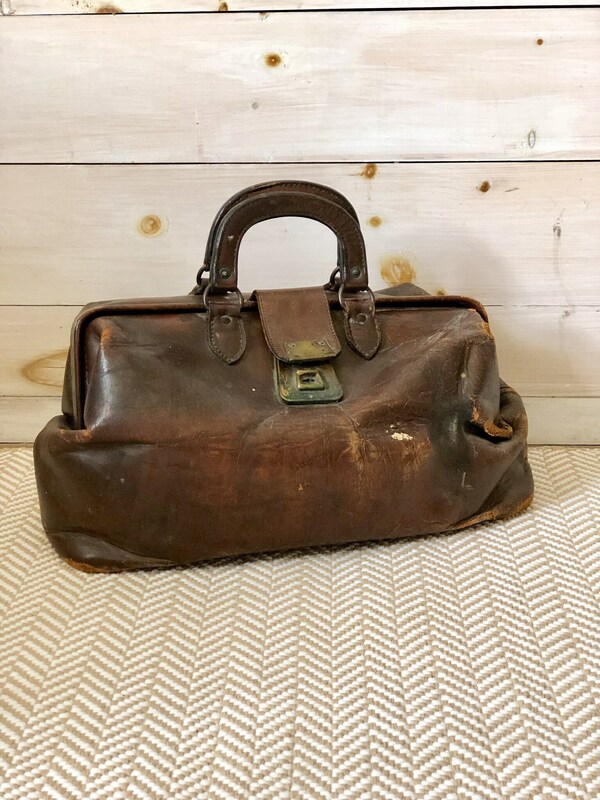 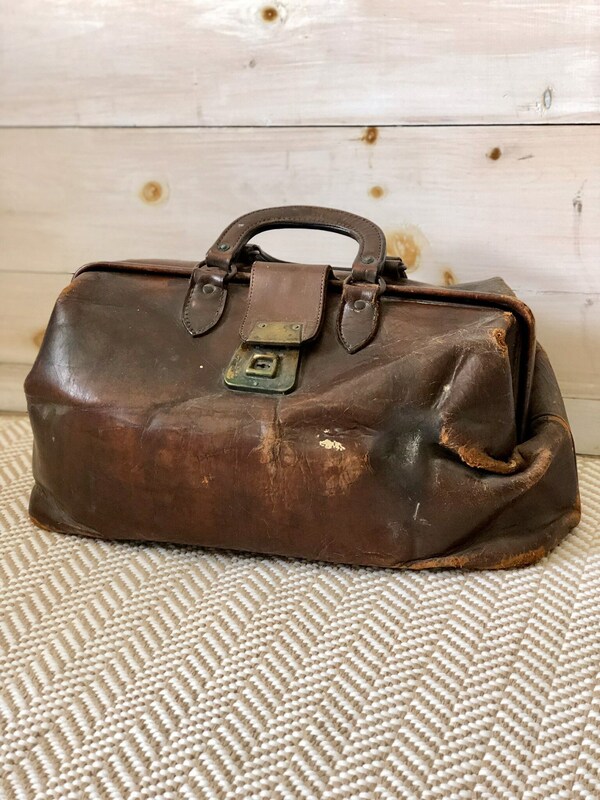 Vintage leather bag with handles and functioning latch. 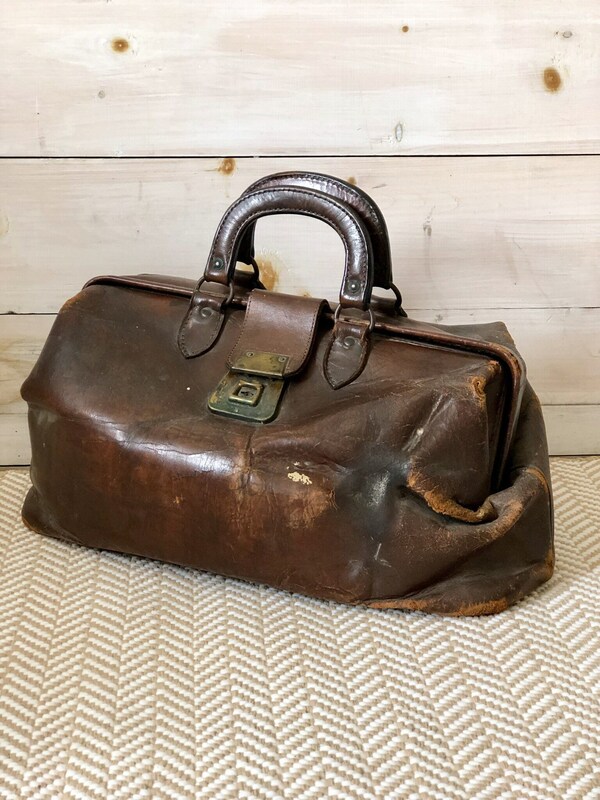 Great wear and patina to this bag, brass latch and good condition on the inside. 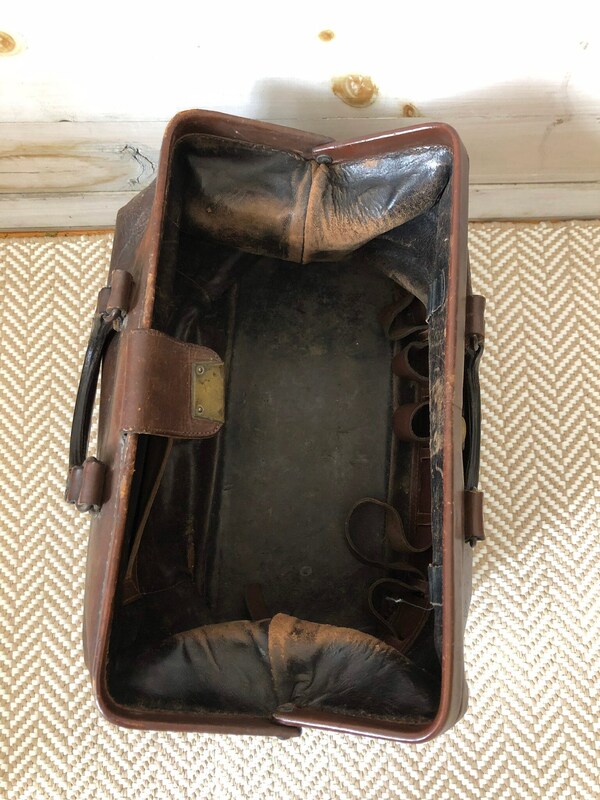 Measures 16” wide by 11” tall by 8” deep.